가십걸 Do 당신 Dare to Dair? I want to know why people are against Dan and Blair getting together and why people are for them getting together. I wanted dair since the 1st time I saw them together. I'm not against them being together. I actually love their on-screen chemistry. Their little banters are just fun to watch. but dair is very funny to watch! I'm a chair/derena fan & always will be. BUT I like watching dair, they have the funniest scenes. 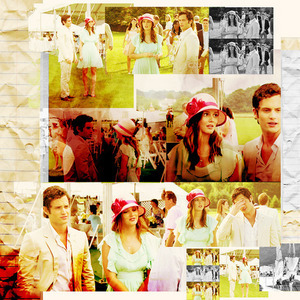 I love Dair their my favorite! It was pointless fighting it! I dared to Dair and there's no going back now!! The chemistry, the way that they communicate, the opposites attract factor, the looks that they give to each other..everything!! And even if all of their previous scenes hadn't made me a Dairfanatic, the one in which Dan goes to her house and claims that he won't leave, until they know for sure whether there's something more between them, would have me loving this ship in the blink of an eye!! I can't see any chemistry (romantic one) between them....i loved them as enemies, they were funny!! For me it is blair/chuck! I dare because of their love/hate relationship. i triple blair dare to Dair! dair all the way. new fav couple on gossip girl. ditto xD. honestly i don't see any chemistry! and i find it so OOC as anything that ever happened on the show! and to be true i found it random! i know people are going to hate on me for that, but what's the say i see it xD.